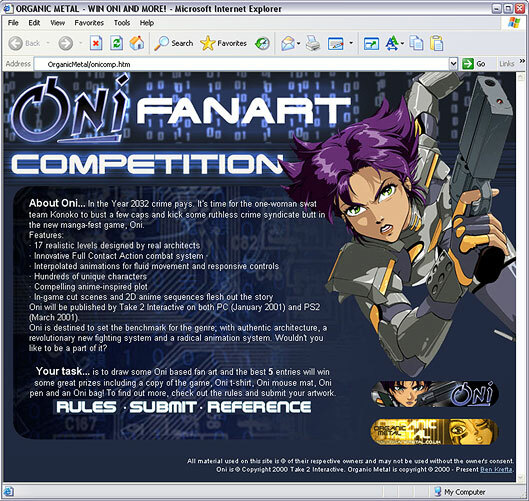 I designed and hosted the Oni Playstation & PC game art competition. Samples of character artwork were provided and it was the visitor's task to come up with a drawing based on the main character. The game has a very dark, industrial and futuristic theme and I tried to convey this in the design. Check out the Oni Fan Art Contest here.